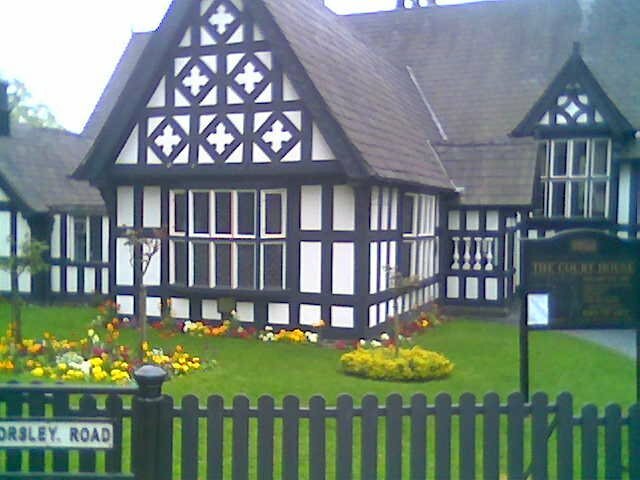 Worsley is a suburb of Manchester, located on the western edge of the metropolitan region, past the slummy Eccles area. If you're in Manchester and need a break with nature and beautiful scenery, head to Worsley. It's a community of half-timbered houses placed around one of England's oldest canals and their narrowboats. 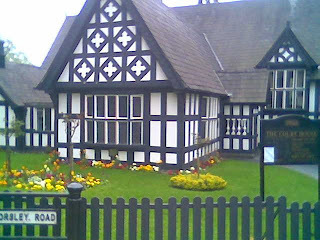 Worsley was once one of the pioneers of the industrial revolution, with coal mines, metalworking and railroads, but you would never guess it when jogging the area today. Turn up Worsley Road, where the woods and cliffs above the pond start. The cliffs conceal the entrance to 17 miles of underground canals, but you can't get in there, so no need to get out your flashlight. Turn left at the first street, going uphill on Mill Brow. The street ends soon at a woods, and you will continue on a footpath, with a beautiful valley on your left. Continue on the main footpath through the woods until you finally come to another big footpath that has more of a dirt-road character. Turn right here. This path was once a railroad bed. You can continue along this path for a couple of kilometers to Monton Green, with the Worsley Golf Club on your left side, and fields to the right. 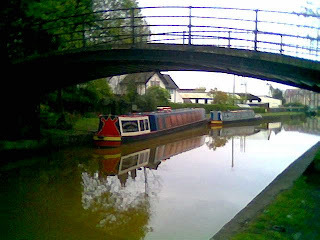 At Monton Green, you can return the same way, or turn right, cross the canal and then turn right to follow the canal back to Worsley again. 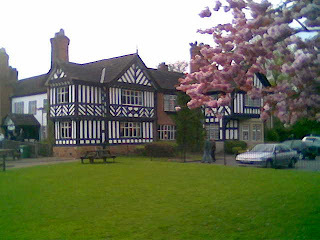 Back in Worsley, take some time to jog up and down the streets around the canal at Barton Road and The Green. Even the pubs are scenic!